Here are just a few juicy reasons you should sink your teeth into some mouth-watering, nutrient-rich organic, heirloom veggies. There are many tantalizing reasons to opt for organically-grown, local heirloom vegetables. They come in a variety of beautiful colors, are even more nutritious than hybrid veggies, and, in some cases, are much less expensive than other produce. Here are just a few juicy reasons you should sink your teeth into some mouth-watering, nutrient-rich organic, heirloom veggies. Farmers have been over-breeding some hybrid vegetables so much that flavor has become secondary to their size and appearance. This is not the case with heirloom vegetables. Since heirloom seeds have been saved for decades, or in some cases, even centuries, their original, vibrant flavors and colors are available today. Heirloom vegetables are the best for all your veggie needs, as they are the most tender, full-flavored, delectable vegetables that you can buy! Flavor isn’t the only thing being sacrificed by some hybrid vegetable farmers. Nutrients are also lost in the hybrid breeding process. Newer varieties of hybrid vegetables have lost a lot of their nutrients in order to ship well. Shipability has a lot to do with hybrid vegetables becoming the flavorless, less-healthy but more readily-available option that they are today. Grocery store chains who sell local, heirloom vegetables are seeing an increase in these sales as organic produce continues its upward trend. Hybrid vegetable crops usually all reach their peak ripeness at the same time, but heirlooms grow differently. 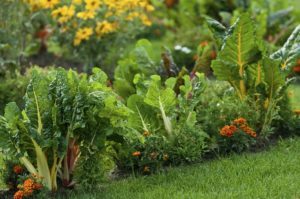 An heirloom crop won’t produce vegetables that all ripen at exactly the same time, which is helpful for maintaining a gradual supply. Another vibrant advantage of heirloom veggies is their amazing variety of color. No two heirloom vegetables look exactly the same. Heirloom vegetables are a great way to dress up any dish. From salads to kabobs, there is a meal that can be enhanced, both visually and by taste, with heirloom options. As if being more beautiful and more nutritious weren’t already good enough reasons to buy heirloom vegetables, but there’s one more great advantage. Heirloom vegetables are usually less expensive than their hybrid counterparts. WANT THE MOST DELICIOUS HEIRLOOM VEGETABLES? CONTACT US TODAY! At Baywater Farms, we are dedicated to providing you with the freshest, most responsibly grown produce. We serve Baltimore, Washington, DC, the state of Maryland, the beaches of Delaware, and beyond! If you’re looking for the best-tasting produce, contact us today! Reach us by phone at (443) 783-4185. Follow us on Instagram, YouTube, and Pinterest! Be our friend on Facebook, and follow us on Twitter and Google+. This entry was posted on Friday, April 6th, 2018 at 12:41 pm. Both comments and pings are currently closed.